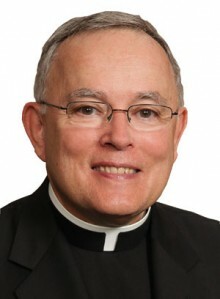 Archbishop Charles Chaput released the following statement on immigration Dec. 12, the Feast of Our Lady of Guadalupe. Mary of Nazareth has always had a special place in the heart of the Church. She is theotokos, the “God-bearer,” Scripture’s greatest human witness of courage, humility and grace. This is why Catholic life has honored her through the centuries in so many different ways: Our Lady of Consolation; Mother of Sorrows; Mother of Mercy; Our Lady of the New Advent; Queen of Heaven; Virgin Most Pure — and in a special way today, Dec. 12, Our Lady of Guadalupe, patroness of America, one continent north and south. All of these titles are true and richly deserved. But they can sometimes obscure the human reality of Mary’s life: a young woman of the rough Galilean hills, pregnant, with a seemingly implausible story before her marriage to Joseph, who gave birth to her child in the cold in a stable far from home and then, hunted by Herod, was forced to flee to Egypt. Mary – our mother; the mother of the Church – had an intimate understanding of suffering, flight, homelessness and uncertainty. At Guadalupe, Mary appeared not to the rich or powerful, or even to the local bishop, but to the poor peasant Juan Diego. Her tenderness to the poor is something we need to remember this Advent, because our Christian faith is more than a set of ideas or beautiful words. It’s meant to be lived. It’s meant to transform our thinking and our actions. Which brings us to the point: Over the past six years, the current White House has taken actions that a great many faithful Catholics regard as damaging – harmful not just for people of religious faith, but for the nation at large. In deferring the deportation of many undocumented immigrants and their families, however, President Obama has done the right thing. This action prevents the break-up of families with mixed immigration status. It also protects individuals who were brought to the United States as children, and have grown up knowing only American life and nothing of their parents’ native land. For more than a decade the U.S. Catholic bishops have pressed repeatedly for just and sensible immigration policy reform. Each of our major political parties has faulted the other for inaction, and each – despite its posturing and alibis – bears a generous portion of the blame. Whatever the timing and motives of the current executive action might mean, deferring deportations serves the survival and human dignity of the families involved. And it may, finally, force the White House and Congress to cooperate fruitfully. On this day that we honor Our Lady of Guadalupe, patroness of all of us who share this continent, we need to remember that the Holy Family too was once a family of immigrants and refugees. And we need to treat the undocumented among us with the mercy and justice we expect for ourselves. Looks like the bishops have decided to trash the constitution in pursuit of their fanatical obsession with turning America into an overcrowded Third World slum. These leftist ideologues are just about to drive me out of the Church. My parents taught me to respect all people no matter where they originated. They also taught me to respect the laws of the Unite States. The very term that you use “illegals” is contrary to the immigration laws of this once great country. Eliminating borders by this illegal president is against the constitution of the country. Preach to him who is the major problem of today and where this country is going. His views are socialistic and his approach is that of a dictator. The job of President is to ensure that the laws of the country are followed. If he wants to change the country into a state of illegals then he should appeal to Congress to change the law. Sorry Father, but I vehemently disagree with your statement and I believe that am not alone in my views. I agree with the Archbishop’s view on immigration, refugees and President Obama’s Executive Order regarding treatment of the undocumented. I differ with the Archbishop on his geography. Around here we all learned that the continents included North America and South America among the seven. I think the view expressed by the Archbishop may have started with Saint Pope John Paul II. I’m not sure why, whether it was an example of “political correctness”, possibly serving a Vatican agenda, or just one of these “limbo” things where what you are taught gets changed. Or maybe Europeans at the Vatican think of “we new world people” as just one homogeneous group. While not a geologist I think the scientists say “in the beginning” it was one large land mass, then tectonic plates shifted. I don’t hear the Vatican conflating Europe and Africa. The Straits of Gibraltar are not all that wide. Then there is the possibility that the Archbishop’s ancestors once walked across what is now the Bering Straits. Thank you for this statement Archbishop. Like many others I am a child of immigrants. My father immigrated to this country from Italy in 1912 at the age of 17. He came by himself but was able to live in a community of Italian immigrants – a ghetto if truth be told. He got married and raised a family. We are indeed a nation of immigrants and should always remember our roots. As Jesus reminds us in Mathew, ch. 25 “I was a stranger and you welcomed me”. The immigration problem is complex and people have strong views about it, but we must never let this prevent us from us from welcoming strangers, as these immigrants are.